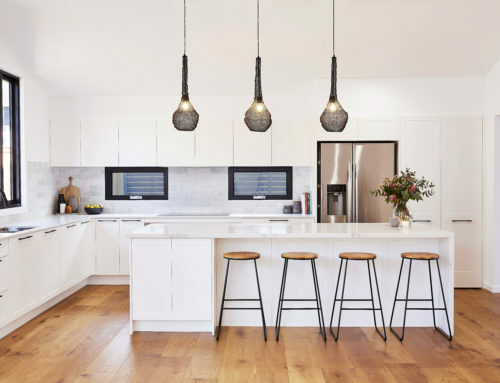 Taking on a kitchen renovation can be overwhelming. It’s the beating heart of your family’s home, and the investment involved means it’s something you really want to get right. When you reach the end of the project, looking at your ‘before and after’ shots really tells the story of how much of an improvement you’ve made – making the process all the more worthwhile. In our new series of Kinsman Kitchen Makeovers, we’ll be featuring some real customers’ kitchens from around the country. Each has its own set of ‘before’ problems, and a brief given to Kinsman to deliver a design solution tailored to the owner’s needs. 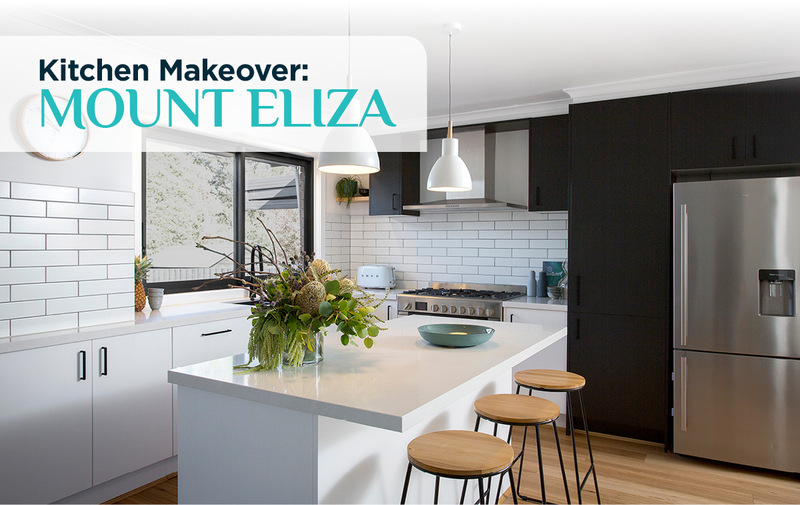 The first kitchen and laundry makeover we’re showcasing is owned by the Cleveland family in Mount Eliza, Victoria – read on to see how we transformed their rooms to suit their young family’s lifestyle. The Cleveland’s old kitchen was cramped, brown, and lacking in storage space. Circa 1970s, it was in need of a major update to bring their family into the realm of modern living. 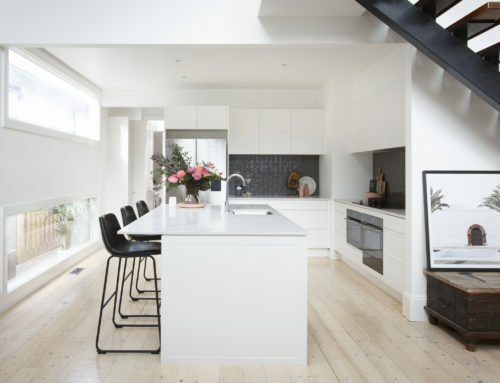 With their renovation they also wanted to tackle their laundry, which suffered from the same outdated situation as the kitchen. 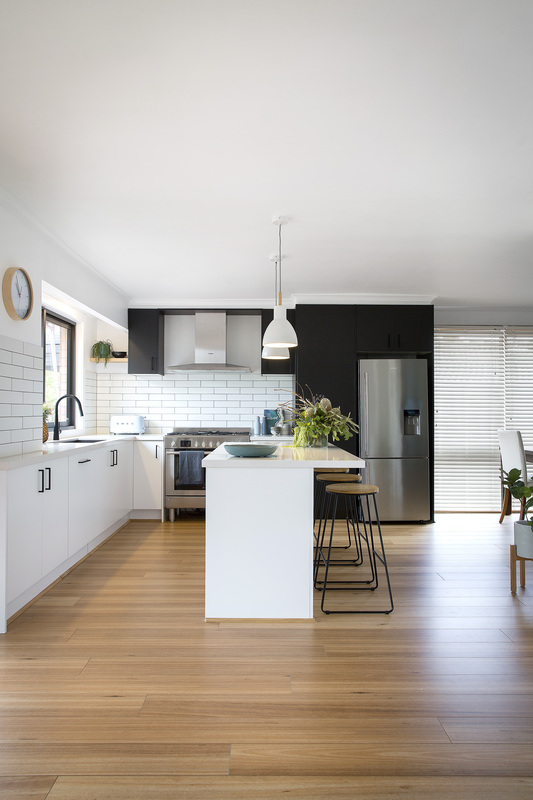 The Clevelands came to Kinsman to re-design their layout into a more functional open plan space, with a modern, minimalist look that would remain timeless. 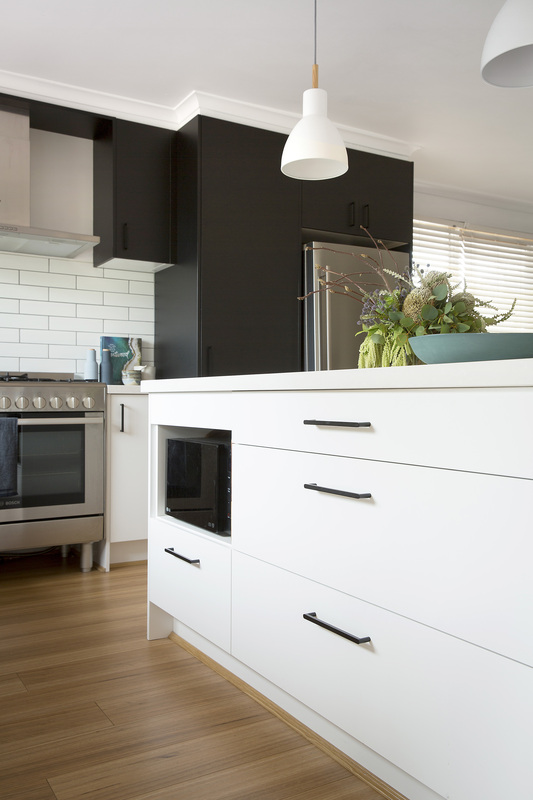 They liked the idea of a white kitchen with some black for a modern touch and a hint of timber for warmth. 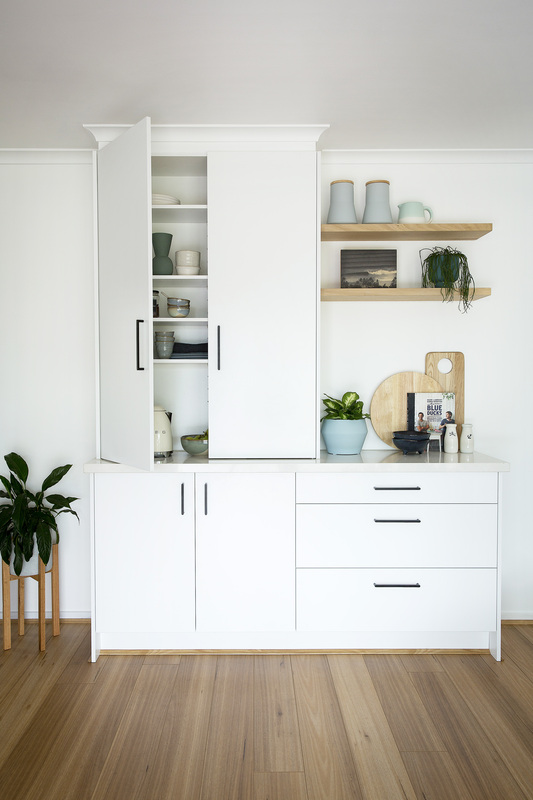 Their clever new kitchen design from Kinsman makes the most of the space available by converting the working triangle into an L-shaped layout, and fitting in a central island bench plus plenty of extra storage. 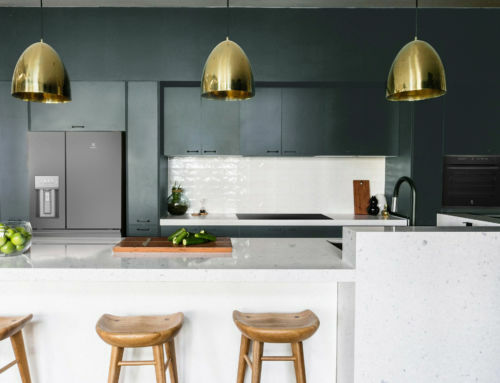 The cabinets are now modern with timeless appeal, using Kinsman’s Essendon White Satin, and a section of Super Matt Black cabinetry surrounding the fridge and rangehood. 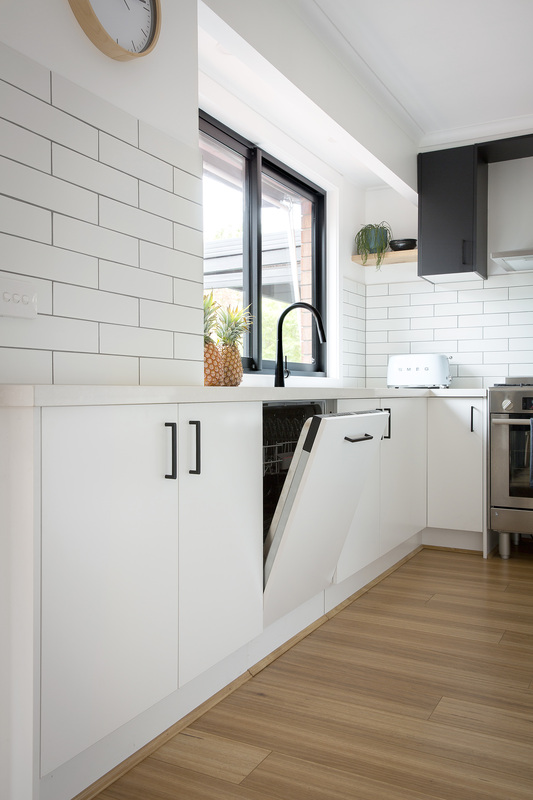 The white cabinets feature sleek Black Anodized Bar Handles to tie in with the black cabinetry, and the subway tile splashback makes a statement with tiles that are longer than standard, with contrasting grout. In this new kitchen design, their dishwasher has now been integrated into their cabinetry, hiding it away neatly under the sink. More clever concealment can be found with the new placement of the microwave: it has been given its own alcove under the island benchtop, keeping it out of eye-line view. The island also features large drawers for convenient storage of crockery, pots and pans.  All of the drawers are soft-closing and slam-proof – making them safer around their little one, as well as a pleasure to use. 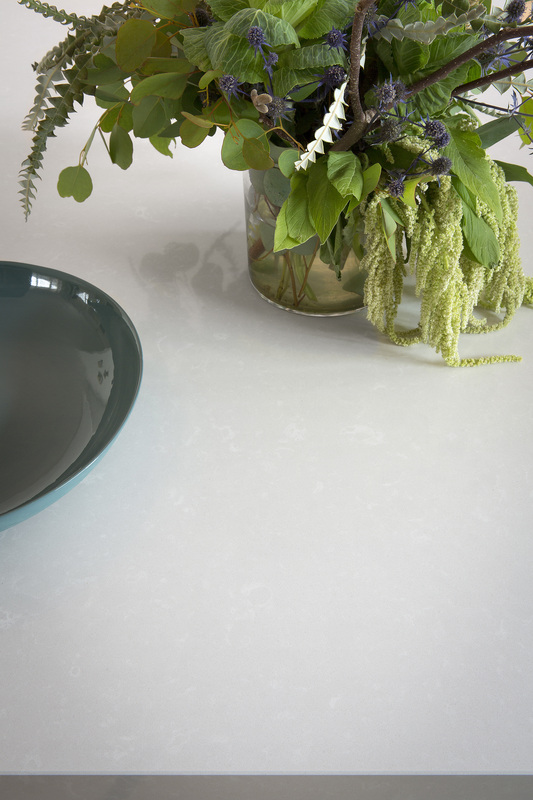 The top of the island features a stone benchtop, adding to the elevated level of quality inclusions in the new kitchen. 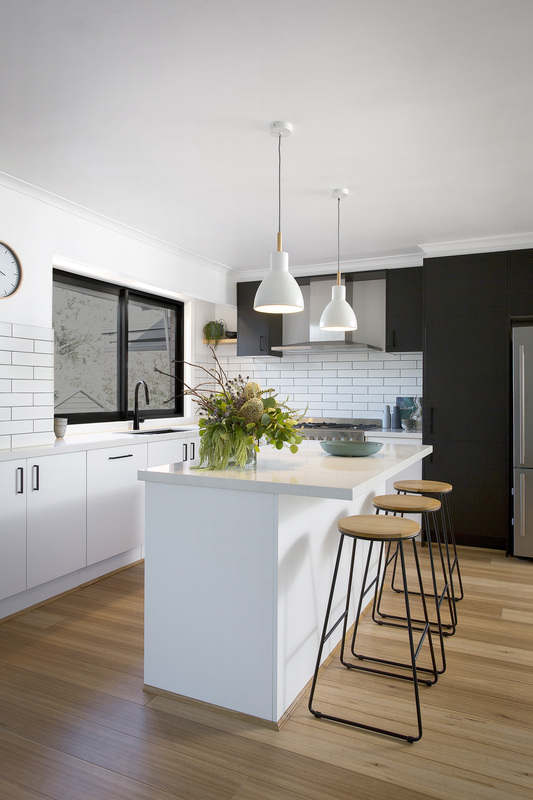 The island benchtop has also been designed with an overhang to allow it to be used as a breakfast bar or workspace, while their new sliding doors in matching black framing connects their kitchen space to the entertainment deck outdoors. 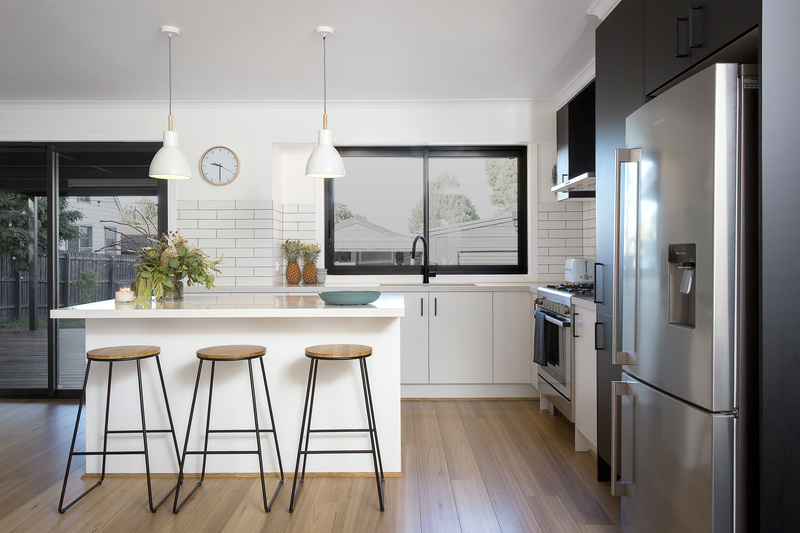 Their minimalist stools tie in with both the timber floors as well as the black lines of the new window frames. The new open plan kitchen and dining feels infinitely more spacious with its fresh white cabinetry, and flooded with light. Their kitchen storage doesn’t end there – loads more has been incorporated with a separate hutch of cabinetry and open shelving, matching beautifully with the main working space. So how do the Clevelands feel about their new kitchen makeover by Kinsman? Watch the video below for their thoughts. 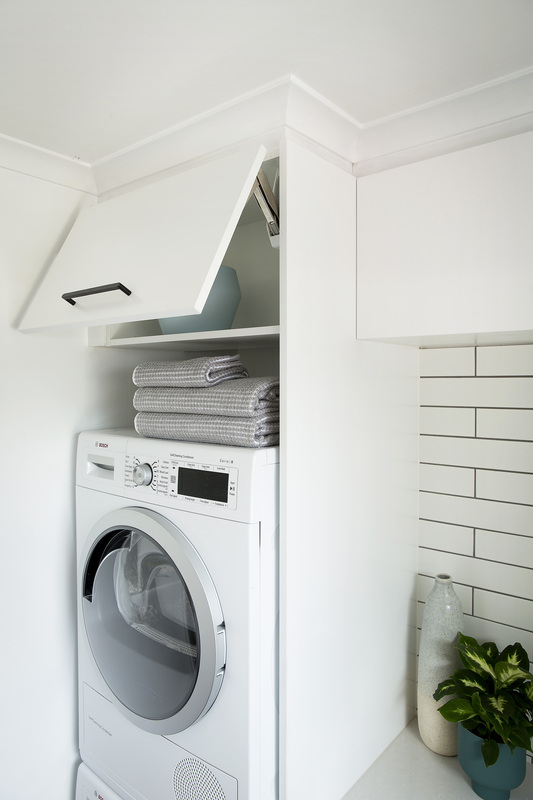 The Clevelands also engaged Kinsman Kitchens to update their laundry space. Here’s what it looked like before. And here’s how it looked after Kinsman gave it a makeover. 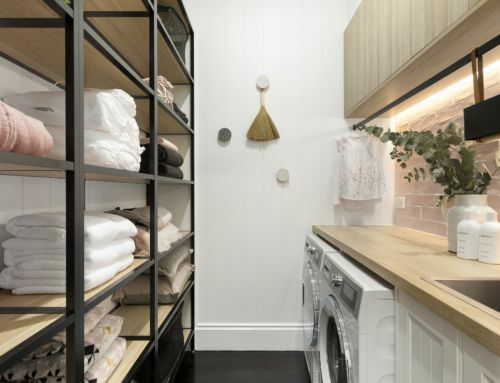 Although the space remains the same dimensions, the laundry now punches above its weight with plenty of concealed storage and a benchtop for folding towels and clothing. 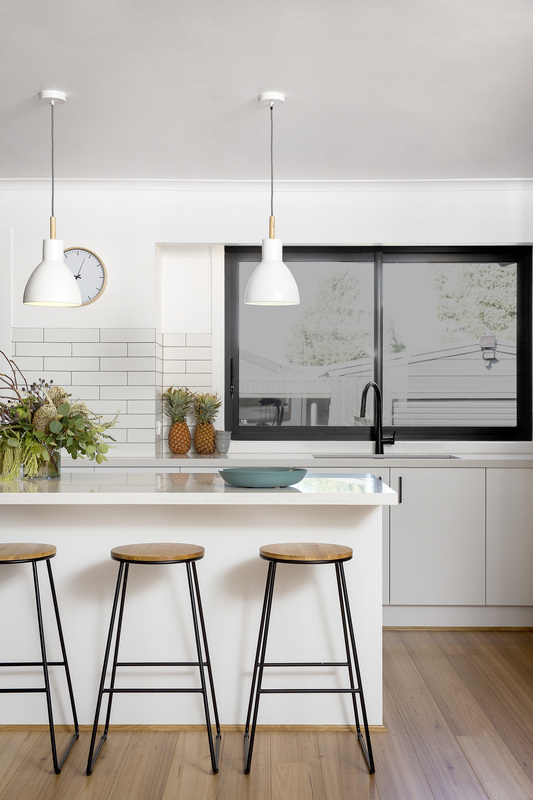 Mirroring their kitchen, Essendon White Satin cabinetry has been paired with black handles and the same subway tile splashback, to create a stylish, functional space that matches the rest of their home. 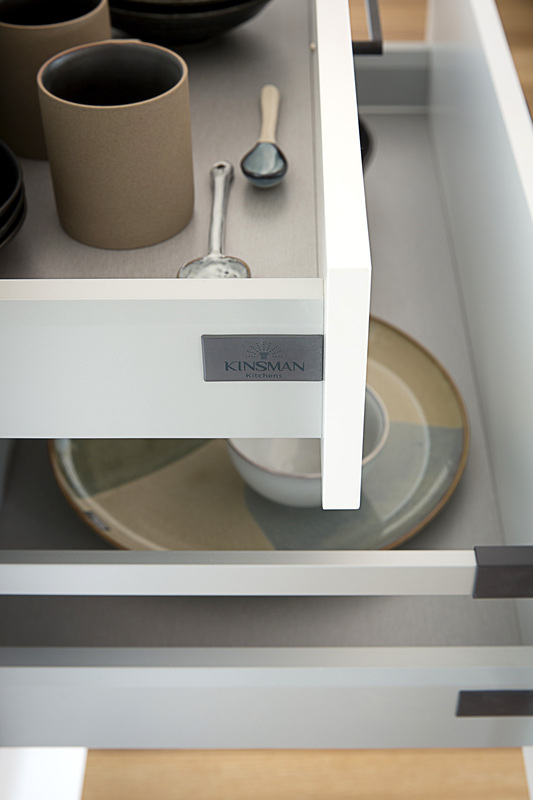 Are you ready for your own kitchen and laundry to enjoy a Kinsman makeover? Simply book a free design appointment today to be on your way to a modern new kitchen.